Tied 0-0 with just over 10 minutes to play, Senior Rachael Norton scored her 19th goal of the season to title the match in Bemidji State’s favor. 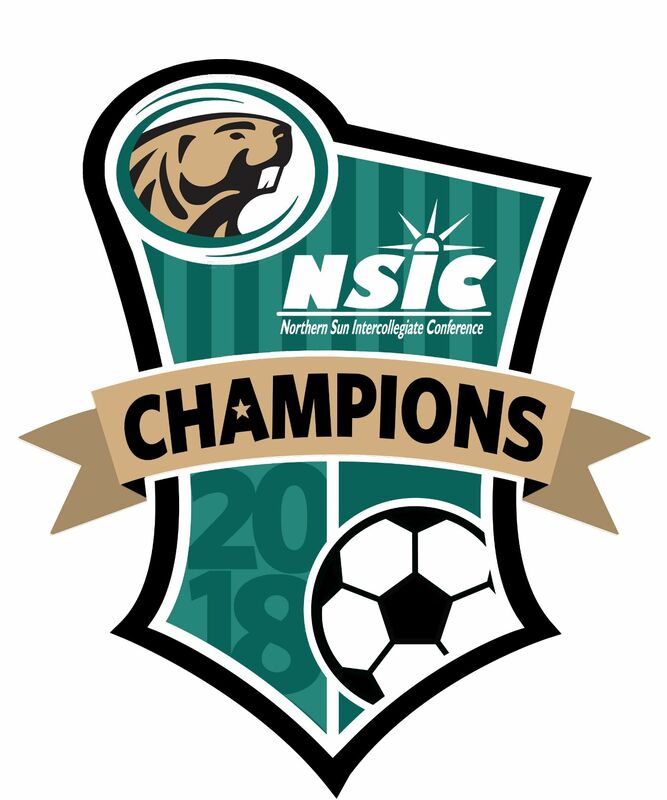 The 1-0 victory at Northern State allowed the Beavers to gain complete control of the 2018 NSIC Regular-Season Championship—the first in program history. The Beavers and Wolves exchanged blows through the first 45 minutes of play. While BSU out shot the Wolves 8-5, the teams each placed two shots on goal and neither were able to beat the goalkeeper and the teams went into the break locked in a scoreless tie. Bemidji State would not be denied during the final 45 minutes of play. The Beavers took 12 shots to NSU’s 2 and BSU put six shots on goal. With just under 10 minutes to play, Allyson Smith put a shot on goal and the goalkeeper spilled the rebound right to the foot of Norton who pocketed the eventual game-winning goal. Already BSU’s all-time leading scorer and single-season goals leader, Norton’s 19th goal leads the NSIC and ranks her among the NCAA Division II elite scorers. She now has 122 collegiate points (48g-26a) and 48 goals. The BSU defense and goalkeeper Anna Fobbe were on point all afternoon. The Wolves finished the day with just two shot son goal and Fobbe and turned aside both for her BSU single-season record 10th shutout of the season. She moves to 17-0-1 on the season, extending her own program single-season and career win’s records. The Beavers completed the regular season without a loss for the second consecutive season. At 17-0-1 overall and 14-0-1 in league play, BSU locked up the No. 1 seed in the NSIC Tournament and will host The No. 8 seed University of Mary in a quarterfinal round match at 1 p.m. Wednesday at Chet Anderson Stadium. A quarterfinal victory will allow the Beavers to host the semifinal and championship rounds Nov. 2 and 4. The Beaver Radio Network will broadcast ALL NSIC Tournament games involving the Beavers, beginning with the quarterfinal game Wednesday. Listen in on AM 1300 The Legends or online here at beaverradionetwork.com! 1932: The Northern Teacher’s Athletic Conference was founded with six charter members: Bemidji State Teachers College, Duluth State Teachers College, Mankato State Teachers College, Moorhead State Teachers College, St. Cloud State Teachers College and Winona State Teachers College.